In an affirmation of the Cambodian government’s commitment to the Tx2 goal of doubling wild tigers globally, the Prime Minister of Cambodia’s publicly endorsed national plans to bring wild tigers back in August this year. Riding on the momentum created by this show of support, WWF organised a meeting of global tiger experts to discuss the reintroduction of tigers in Cambodia. In September, Cambodian government officials met with specialists from India’s National Tiger Conservation Authority, Wildlife Institute of India and experts of tiger conservation including Wildlife Alliance, Wildlife Conservation Society, IUCN, Global Tiger Forum to discuss best practices and next steps for Cambodia’s tiger reintroduction. 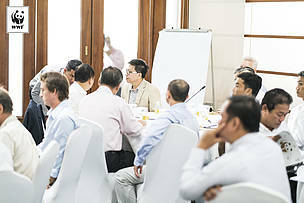 The delegation first convened in Phnom Penh for an intensive three-day workshop before travelling to Srepok Wildlife Sanctuary to study the tiger reintroduction site. Since the last camera trap image of a wild tiger in 2007 was captured inside the forests of the Eastern Plains Landscape, there has been no other evidence of wild tigers in Cambodia. This led conservationists to concur and announce in April 2016 that wild tigers are now functionally extinct in Cambodia. With this announcement, the development and implementation of the Cambodia Tiger Action Plan (CTAP) became even more pressing. Already approved by the Ministry of Environment, the CTAP would now be further developed to detail an outline of a tiger reintroduction project in Cambodia - one that would require a budget of US$ 30 million to begin with. “Following the Prime Minister’s public endorsement, there is no doubt that that all of Srepok’s provincial authorities fully support the tiger reintroduction,” says Svay SamEang, Provincial Governor of Mondulkiri. “I highly await the opportunity to collaborate with countries like India, where tigers were successfully reintroduced to different reserves within their country,” he added. Once known as the ‘Serengeti of Asia’ by conservationists throughout the 1950s, Cambodia’s diverse ecosystems boasted of tigers, leopards, elephants and the now-extinct kouprey. By the 1990s, the population of wildlife species dwindled due to rampant poaching and illegal wildlife trade. If tiger reintroduction is successful, Cambodia is expected to reap significant benefits from tiger-focused ecotourism. Taking India’s positive examples, tiger-focused ecotourism can create job opportunities, provide alternative livelihoods to poaching and logging, while providing a boost to the development of the province, bringing in infrastructure such as better roads, electricity, water and schools. After a fruitful field trip to the Mondulkiri forests, the forest and park officials from the Panna Tiger Reserve has likewise invited Mr SamEang, the provincial governor of Mondulkiri, as well as other key officials from the Ministry of Environment and Ministry of Tourism, to visit India for a similar experience to understand previous tiger translocation processes carried out in India’s tiger reserves. “In any manner, we will be very happy to help and support this programme”, commented SP Yadav, representing the Global Tiger Forum. 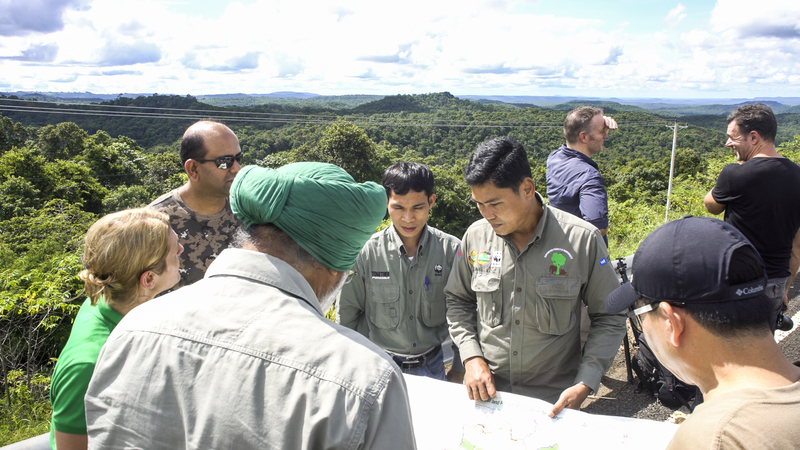 The next phase for this bold plan will require close transboundary collaboration, with countries that are leading successful examples in tiger conservation, such as India, as well as with neighbouring countries, including Laos, Thailand and especially Vietnam, which borders the Eastern Plains Landscape where the reintroduction site is. Restoring tiger populations in their former range is key if we want to see wild tigers surviving in future generations. By progressing on the tiger reintroduction plan, Cambodia is affirming its commitment towards the Tx2 goal of doubling wild tigers globally by 2022. However, there are many challenges ahead to be tackled to make the plan a reality. Those challenges include strengthening law enforcement, increasing the tiger prey population and ensuring that the protected areas in the Eastern Plains attain world class standards through effective management. 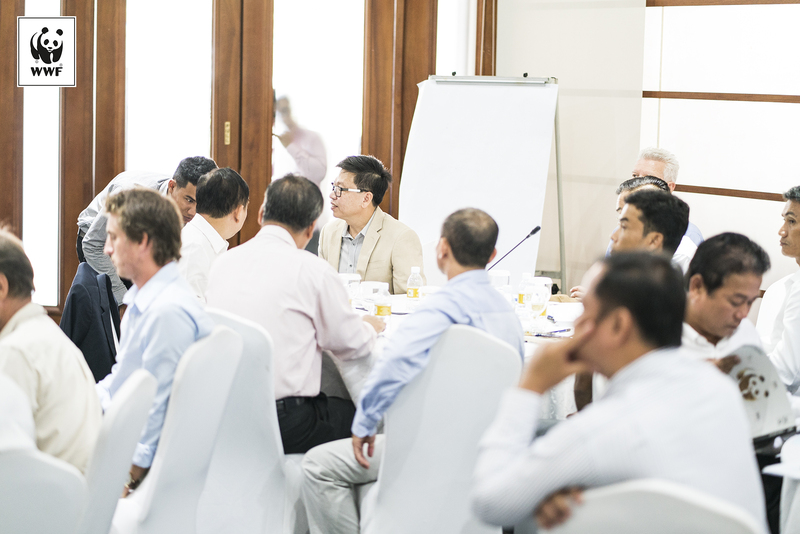 Discussion during the Phnom Penh-based Tiger Expert Committee meeting. 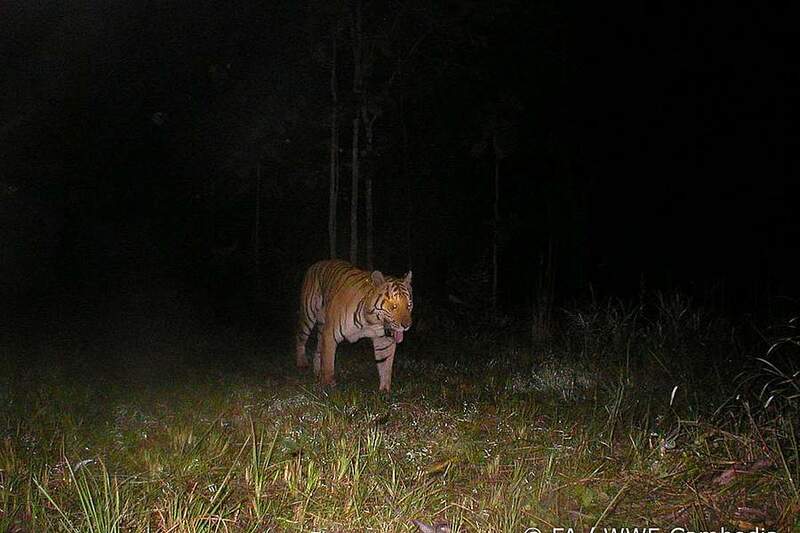 This 2007 camera trap photo serves as the last evidence of a tiger in Cambodia. Field trip to the Eastern Plains Landscape.